Cats don't really like veggies but they'll like these catnip and silver vine stuffed carrots! They're stuffed with fiberfill and all natural, super duper, powerful catnip and silver vine*. Great for an Easter basket or any time of the year! 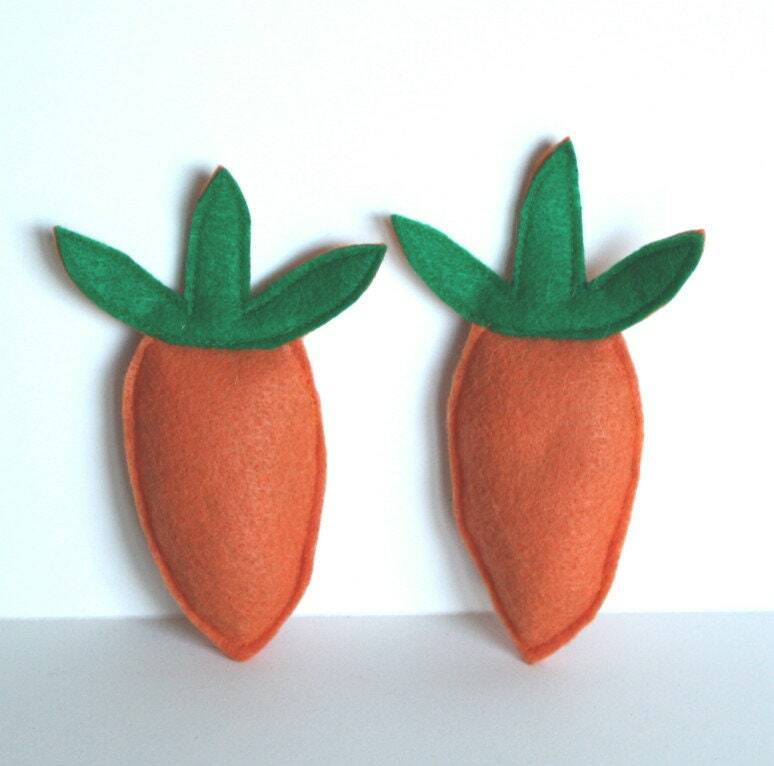 The carrots are a little over 4.5" high by 2" wide. The back side is solid. You'll get 1 carrot. Chocolate bunnies in last photo are also available and sold separately. I can also make them catnip-less if you want it as a collectible or kitty just doesn't like catnip. Just let me know! * Silver Vine is a traditional Chinese and Japanese plant that is a cat stimulant like catnip. A study at the University of Illinois showed that 3 out of 4 cats preferred Silver Vine over catnip. It is a non toxic plant that has been found to stimulate a euphoric response in cats. So if your cat doesn't prefer catnip he or she might like Silver Vine!